During the week I don’t always manage to eat breakfast. I know, it’s terrible. But I’m determined now more than ever to get the most out of my mornings. Which means adding in a healthy breakfast into my routine. The only problem is that I’m probably the exact opposite of a morning person, I can sleep through pretty much anything, and after I wake up I won’t be coherent for another hour or two. So popping up to make a delicious but healthy breakfast is as realistic as me suddenly sprouting wings and flying (like those Red Bull commercials). 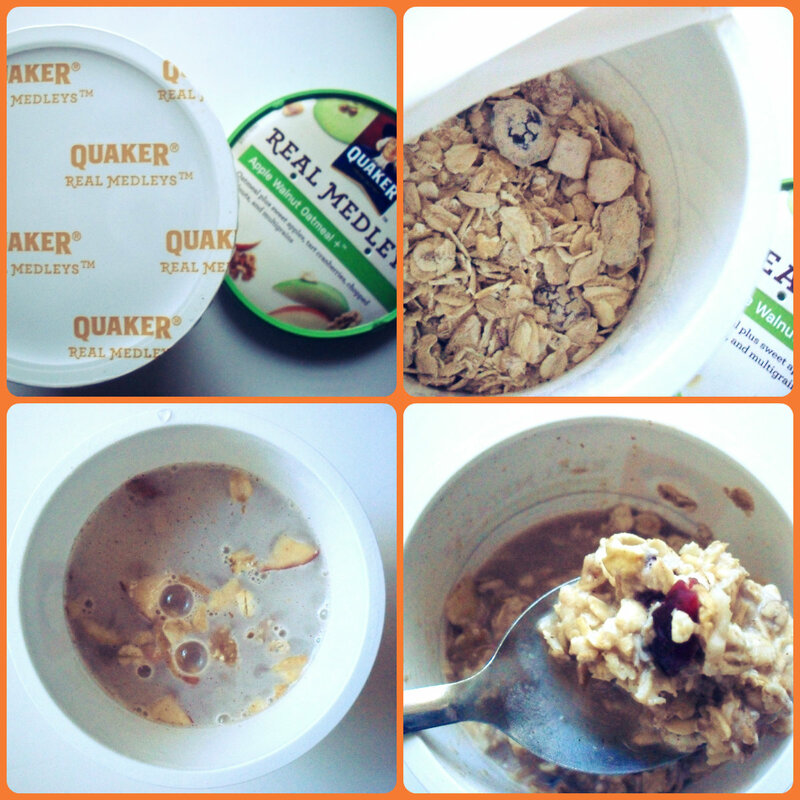 Thankfully, Quaker – a brand I grew up with, came out with their Real Medleys “instant” oatmeal. My mom was actually really excited about the Real Medleys line when it first hit stores, but for some reason or other we never actually got around to trying them, until I was sent one of the Real Medley’s in Apple Walnut in my Influenster Holiday VoxBox. So over the holiday week, I was super busy and therefore even less of a morning person than ever, I just popped it in the microwave and I was actually pretty darn surprised with how tasty it was! I know the directions say to just add water and microwave, but I’m a lactose lover so I did a half milk half water mixture. To me milk makes everything creamier and better. SO if you’re like me and regularly add milk to your oatmeal, I’d suggest you edit the directions and add some milk. 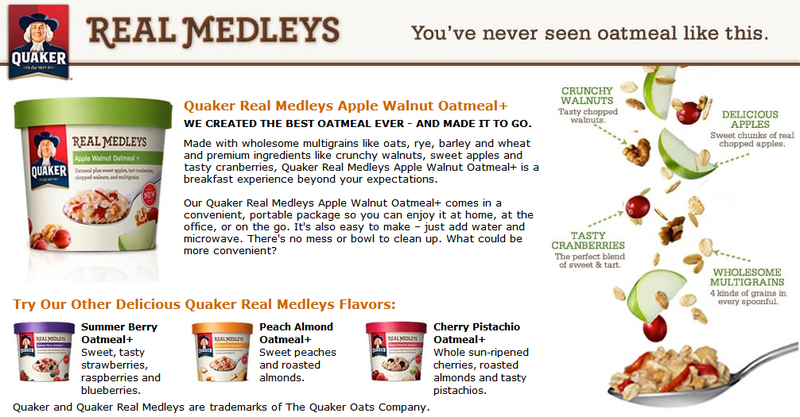 Real Medleys comes in Cherry Pistachio, Peach Almond, Summer Berry, and Apple Walnut – which is the flavor that I tried. It’s really really yummy – and I promise I’m not just saying that. It literally tastes like a hug from the inside – it’s warm, not too sweet, the apple and cranberries add the perfect pop of flavor, and the walnuts give a great layer of texture to the oatmeal. So if you’re in the store, and you’re looking for a delicious, fast, and easy breakfast option totally pick up some of these because they’re so good and only about $1-2 each. 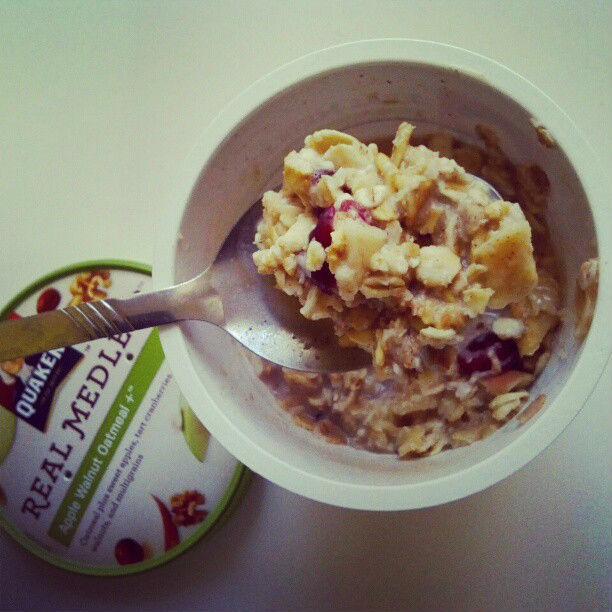 To find out more about Quaker Real Medleys click here, to read more reviews on Real Medleys by other influensters click here! *I received the product(s) mentioned in the post in from the Influenster Vox Box in order to facilitate a review. I am not obligated in any way to review the product. All opinions presented here belong to The NYC Talon, and are not influenced in any way.